Passengers aboard the Riviera for Oceania Cruises’ 10-day trip from New York to London beginning May 22 are in for a treat. A sports legend will be aboard and be talking about his career in sports broadcasting. 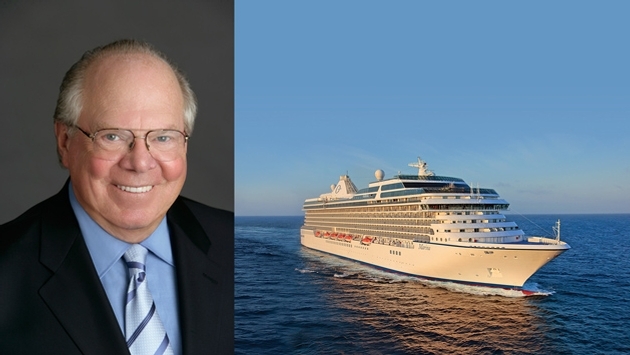 Verne Lundquist will give two 45-minute talks about his favorite moments behind the mike during the voyage across the pond. The veteran play-by-play voice just finished a thrilling weekend of calling NCAA men’s basketball Sweet 16 and Elite Eight games from Madison Square Garden in New York with long-time cohort Bill Raftery. “I’ve called 20 to 30 games at MSG and I’ve never seen it with the energy and excitement that was in the building this time,” he said of calling the UConn-Michigan State Elite Eight matchup. That might explain why Lundquist was fighting off a bit of laryngitis when he jumped on the phone Tuesday to talk about the upcoming cruise. Lundquist’s reputation as one of the nicest, most down-to-Earth people in the business explains why he’d sacrifice his golden pipes despite the laryngitis. 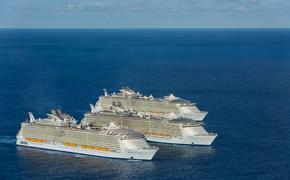 “Cruising is my passion when I’m not behind the mic, so I couldn’t pass this up,” he said of both the call and the chance to travel with Oceania. Lundquist’s love of cruising was born 34 years ago when he took his wife Nancy on a honeymoon cruise through the Baltic Sea on the legendary Vistafjord. The 73-year-old is a frequent flyer, as his still-hectic broadcast schedule takes him all over the country calling the biggest games. That’s what makes the cruises so special – a chance for he and Nancy to take a breather and truly enjoy traveling beyond bouncing from airport gate to gate. One of those people he met was current Oceania head of entertainment Michael Day. He first met Day on a classic music-themed cruise through friends and the introduction led to Lundquist lecturing as part of various Silversea itineraries. When Day moved to Oceania a decade ago, he called Lundquist “to pick up where we left off,” according to the broadcaster. The Denver resident said he and wife are social to begin with, so the community setting on the cruises fit him perfectly. Plus, he gets to spend a couple hours each cruise talking about his lifetime of witnessing the greatest moments in sports history. Inevitably the conversation leads to his favorite moments. Even though the golf, Olympics, college football and college hoops expert has seen almost too many to remember, he’s clear on his favorites. Lundquist is headed to Augusta next week to call more Masters moments and said even though he’s been calling the tournament for 30 years, the site of the course always thrills him. Other sports moments like calling the classic Duke-Kentucky tourney game in 1992, the Nancy Kerrigan-Tonya Harding spectacle in 1994 and all his SEC football moments shared with boothmate Gary Danielson paled in comparison until this year. Lundquist will be in Dallas this weekend, calling the college hoops all-star game before taking in the Final Four as a spectator with Nancy. Then Augusta. But make no mistake. He’s counting down the days until he boards the Riviera. “We have been fortunate to go on at least a cruise a year for most of our 34 years. We just saw New Zealand and Australia last year, and that was truly a bucket list moment,” he said. “This London cruise should be just as special. The couple have literally seen the world, counting Mediterranean and Greek island trips as among their favorites and South America as the one bucket list item they most want to see. But beyond the locales, it’s the people that make the memories. As for his talks on the ship, Lundquist said he hopes they’re entertaining. Oceania management seems to think so and hope to use Lundquist as the blueprint for adding more guest lectures onboard other itineraries. At the very least, Lundquist knows he always has one fan on deck. “Bless her heart, Nancy has been to every one of my talks. I always know I have one person laughing at my jokes,” he said.